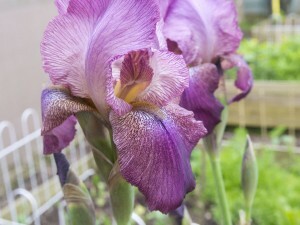 Never have I been so enamored with a flower as I have with my Louisiana Irises. 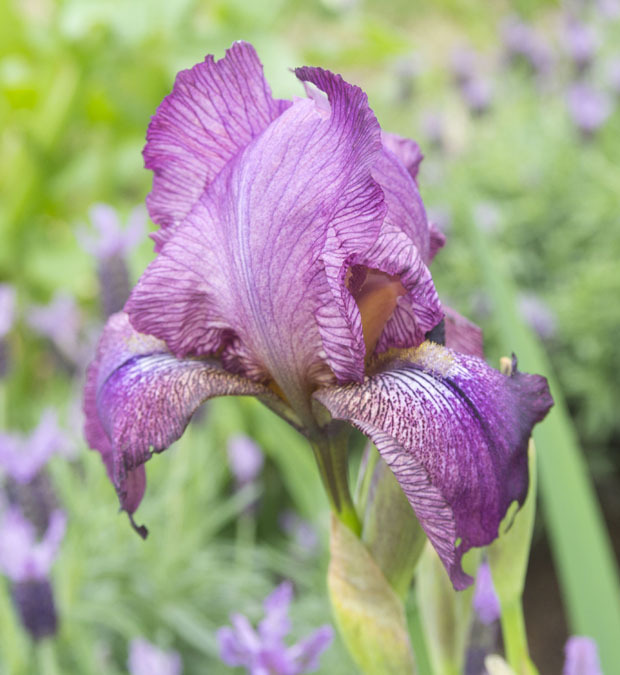 I think that the first specimen has been so magnificent that I have placed this flower on top of my Most Have To Have list. 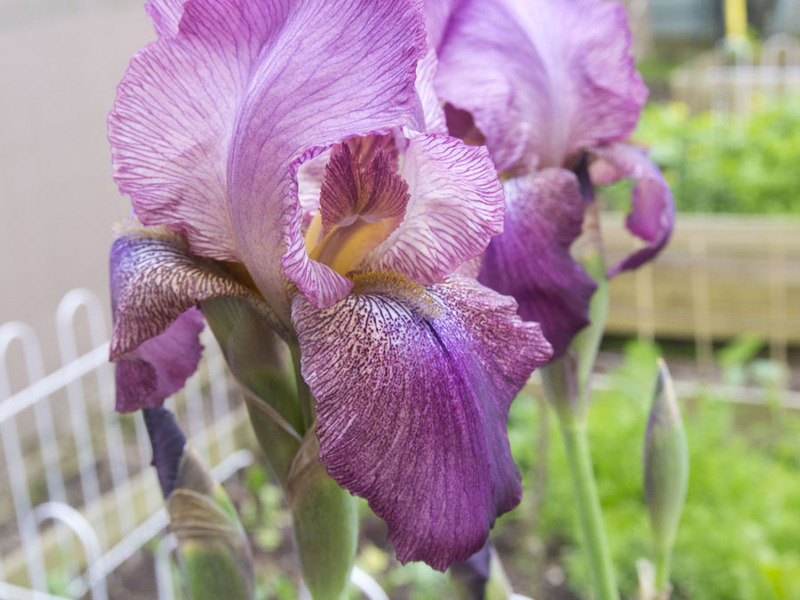 It is so tall and is so perfect that any other Iris will have to bend in its shadow. I wake up in the morning and open my back door and there she is! 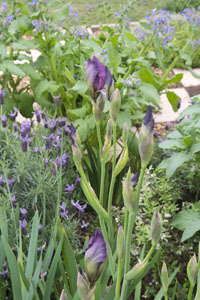 I have another 4 patches where I have buried the Iris rhizomes and they are all looking close to blooming. The first 2 photos are the Irises in the front garden rose patch. I am not certain what the colours are, so this will be a surprise! Thanks again, my friend, for this special, special gift! 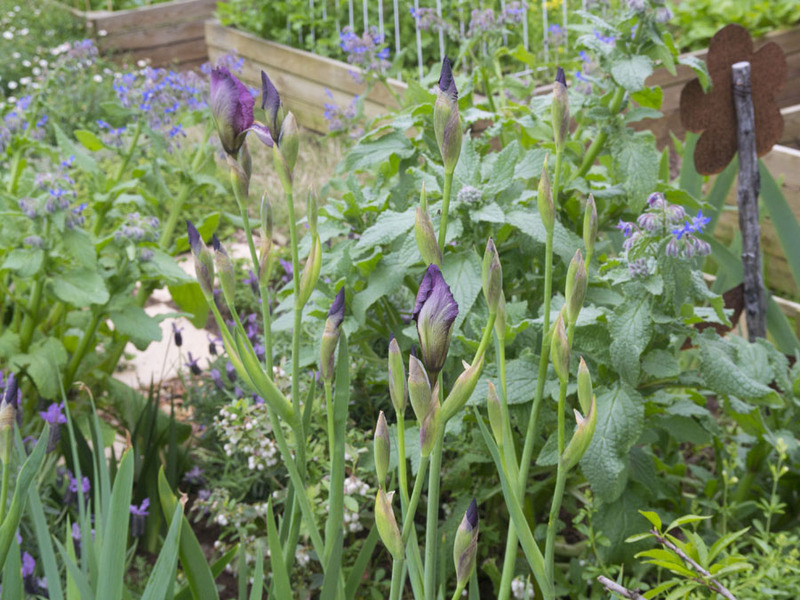 I also adore this view of your garden and as I have said before I love irises…the color is amazing and they are such a delight when they bloom…you bring back the best memories of my spring garden Barbie! I love the color. And the view out your back door is lovely. Spring has definitely sprung where you live. 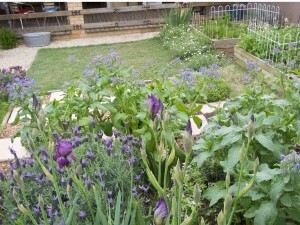 You have so many lovely, healthy raised beds! I think I need to do more of that! 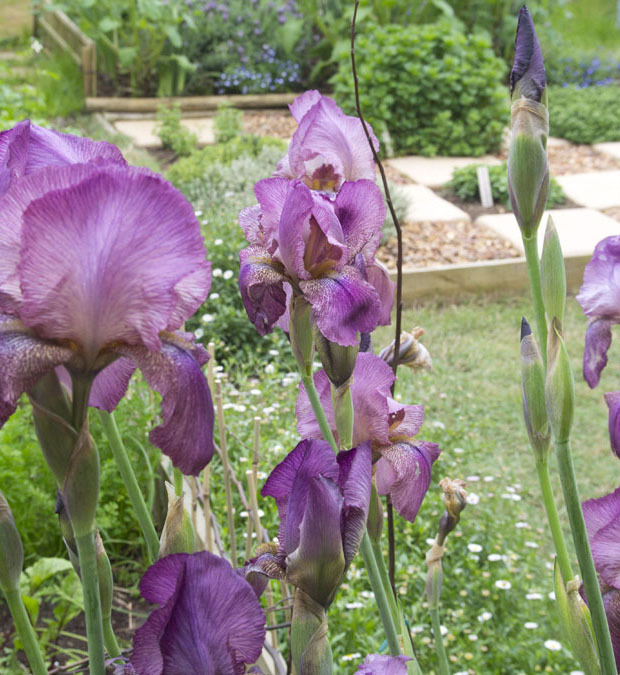 I agree–the Louisiana Irises are special! You’ll have to make a trip to New Orleans sometime, if you haven’t been there already. 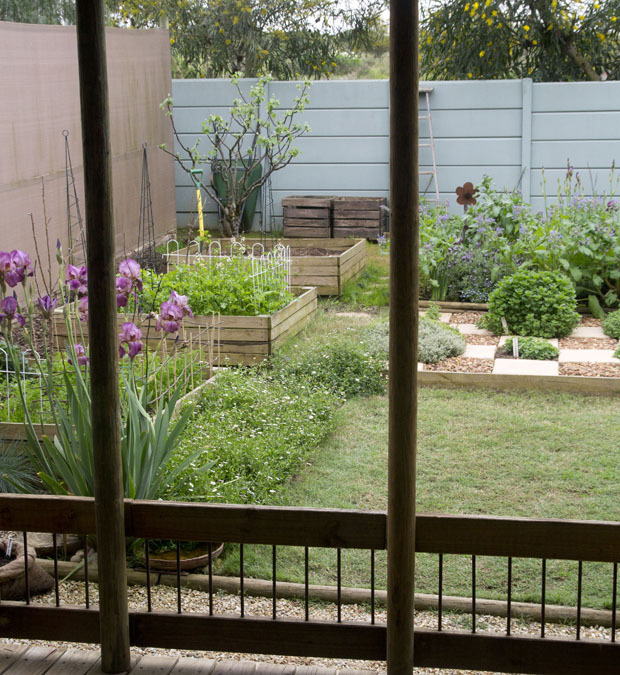 Amazing gardens! Lovely—how does the foliage hold up? 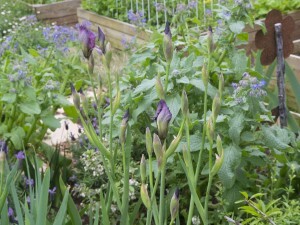 The bearded iris foliage always looks so nasty after a while that it’s a mixed blessing even though I love the flowers. 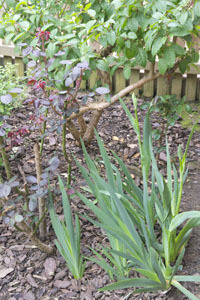 The foliage is strong spears so they fit in beautifully in any patch! 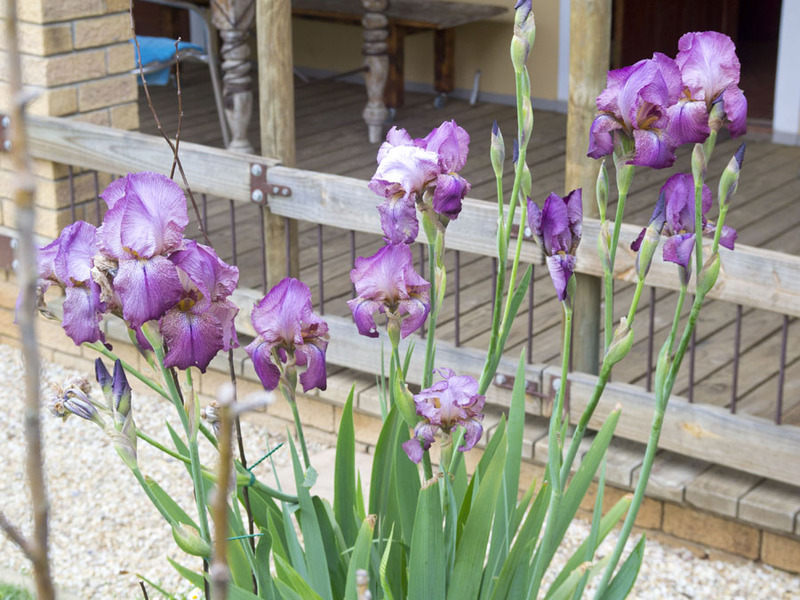 And how they LOVE your garden … just look at them standing all tall and beautiful. Love them. 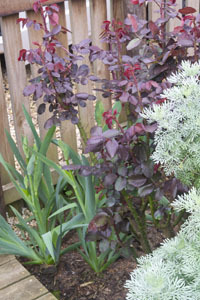 So beautiful – I have had to stake them with all this rain – hey are getting top heavy! How lucky to have a friend you gives you such wonderful gifts. Yes – I am very blessed! I don’t think I’ve ever seen your garden from that view before – it is wonderful! Those irises look so beautiful. And more to come! How fun! Thanks Holley – I know, I don’t think I have ever shown you this view. It is my favourite!